We went away last week, and although I had projects done in advance, I'm all out of sync since we got back. I have no idea what day, or date it is! So, I'm a little late sharing C.C.Designs Sneaky Peekies. My Bad. 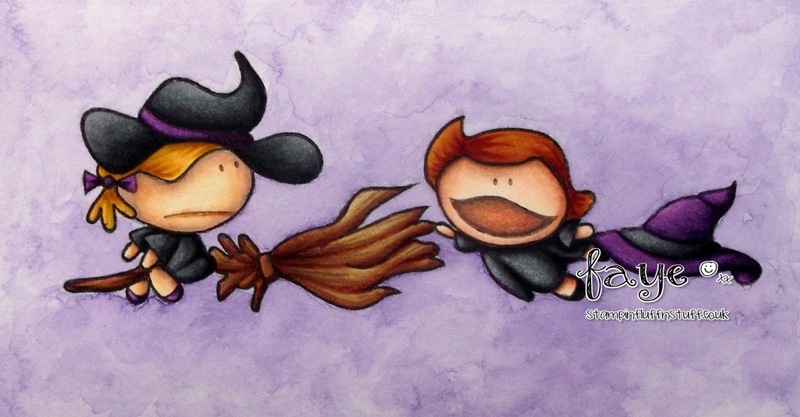 These cuties are called Witches Away and they just had to go live in my Colouring Journal with a bit of watercolouring! This is beautiful Faye! Love your watercolor background and these Meoples are so fun! This is perfect! I love Halloween and these are super cute, and I love, love, love the layout! You know, I love purple but I've never thought of using it to make the sky. It looks fantastic and it makes your card extra Halloween-y! 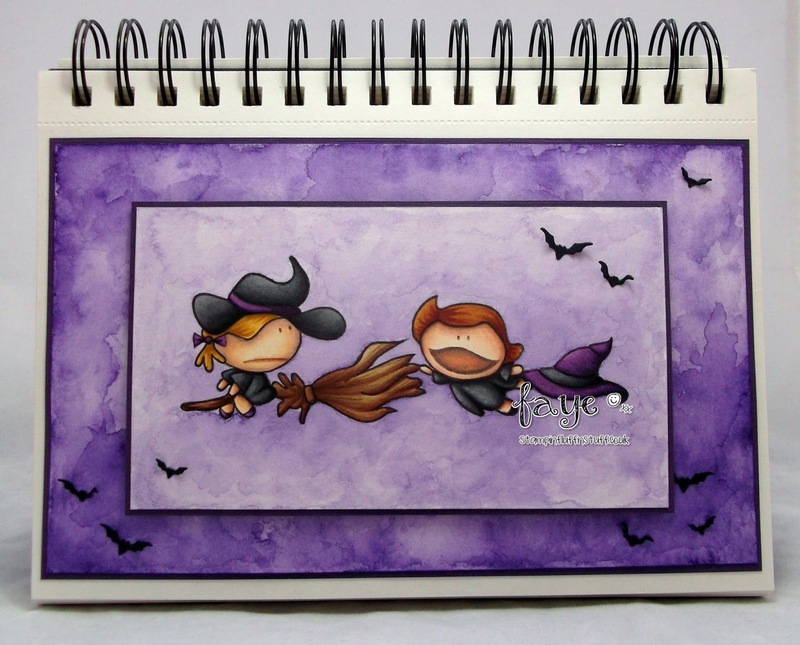 Oooh love these little halloween witches... too cute to scare!! And what a fabulous watercoloured background too! Wow what a fabulous notebook Faye!! I love this, even though i'm not really a halloweeny/halloweenie person. how DO you spell that word?